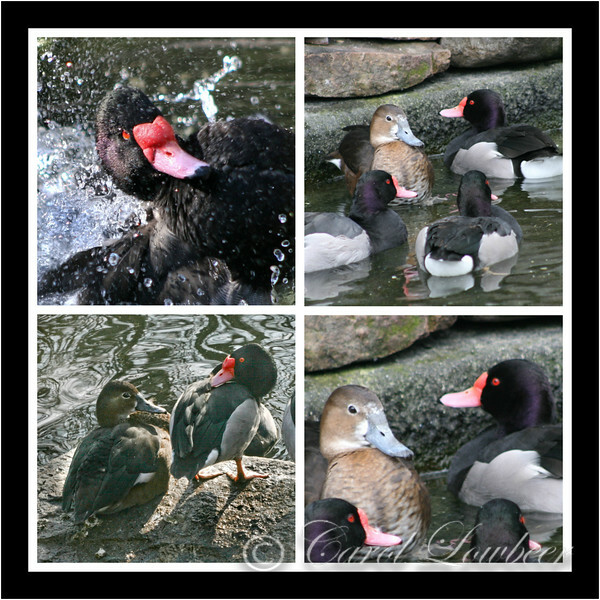 Our Rosy-billed Pochard female would like a mate but she has a challenge: she must choose amongst three interested suitors! The competitors put on dashing wing & water displays and finally she makes her selection! Lucky gal to have choices! This striking red-billed drake and his subdued brown mate breed in South America.